Let’s do a quick “State of the Union”. #ProjectMomentum is going strong. The page count could be better of course but compared to last year Orlindo and I are at least working on our projects. I hope we’ll get better at this but I’m quite happy with it so far. Strangely, the blogging has become one of my favorite parts of the process and as I mentioned before writing about writing helped (and helps) me a lot to clarify things about my story. I also have to admit that writing prose like this is getting easier week by week and it’s a great feeling, even my typing is improving. But there’s one thing I fear. I like the 1/2/7/7 thing we’re doing but blogging about it feels like a chore I do and usually after doing chores, you go back to the couch. I do that a lot and I’m not talking about blogging instead of writing, I’m talking about writing up the numbers instead of writing about something I truly care about. So I decided to mix the format up a bit. I will keep the numbers of course (they are an important part of #ProjectMomentum) but I’m going to focus more in content than on the numbers. I realized that the last posts had barely any insight so I want to change that. The most interesting post I wrote so far was “Three Time’s the Charm”, the one about Before Sunrise. I wrote more about one thing instead of a few lines about many things. So that’s where I want to go. Instead of writing a bit a bit about many topics I’m going to focus on one topic in each post. If I want to write a Deadpool review I’m going to do that, If I feel like writing about how great a writer Neil Gaiman is, I’ll do that and if I want to write about that D&D book I just read, guess what…I’ll write about that. One book/screenplay: Sword Coast Adventurer’s Guide a D&D campaign sourcebook. Two movies: Deadpool for fun, Ken Branagh’s Hamlet for work. seven hours: Orlindo tool a Berlinale break so I focused on something completely different…..
I’m the one in the striped shirt. …an now for something completely different, let’s talk some D&D1. I have to admit, I’m really late to that party. D&D is something I always wanted to get into but there were always obstacles in ma way. Last fall I decided to give it another shot. 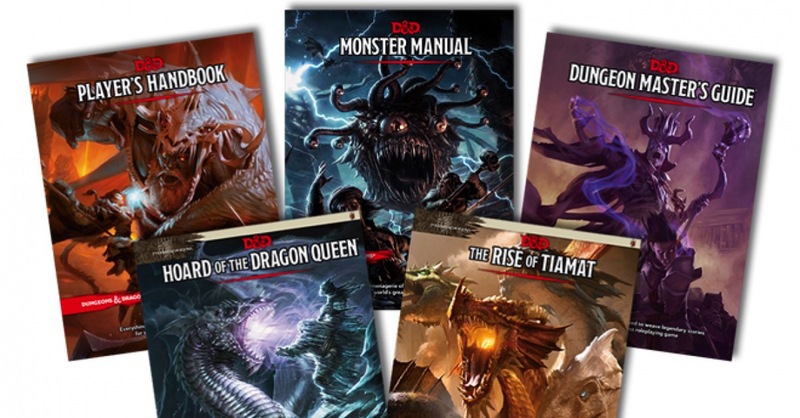 I decided to buy the Starter Set for the newest edition (5th Edition) of D&D. That starter set included some basic rules and a campaign. I started reading and took in the pictures and I immediately fell in love. The only word that comes to mind is immersive but that’s only half the truth. You have to put a lot of effort into it but, and that’s the beauty of it, your effort is rewarded. It didn’t take long and I bought everything I could find. I have the Player’s Handbook2, the Dungeon Masters’s Guide3, the Monster Manual4 and the afore mentioned Sword Coats Adventurer’s Guide. This is a really strange book, it’s not about rules and it’s not a campaign, it’s a book that’s supposed to inform and inspire your adventures. What I love about D&D and I feel comfortable about using the word love after one game as a DM is that the rules are there to elicit creativity and not to bog you down. It’s a lot like telling a story. There are rules of storytelling (like the rules of the game) and the rest s creativity. So together with some friends we started to play the starter set campaign and we had a great time. We are currently figuring out a way to continue the game and I hope to find a way to make this a regular thing. I’m secretly (well, I guess not anymore) working on my own campaign. I have some ideas on how to make the game my own and I think it’s a really good storytelling exercise. It’s not just about monsters and encounters it’s also about guiding your adventurer’s through a world you created (or adapted) and letting them tell their own story inside your world. It’s like writing a movie but the characters decide themselves what they want to do. 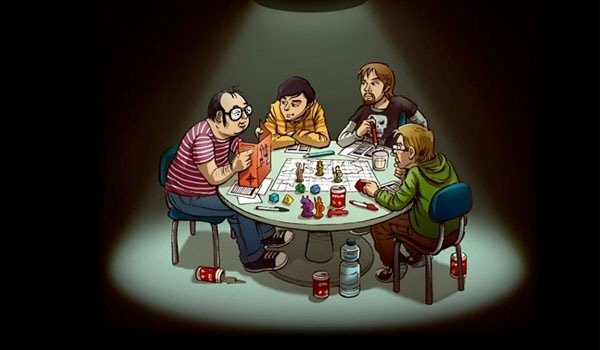 So yeah, if you haven’t played D&D yet, I highly recommend it. The Starter Set is a good starting point, just get some friends together and you’re in for a great time.